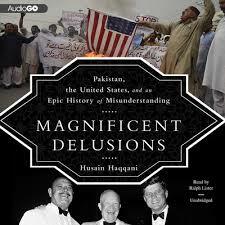 "Magnificent Delusions: Pakistan, the United States, and an Epic History of Misunderstanding" By Husain Haqqani (2013). The former minister also said that whenever India has tried to make peace, that has been reciprocated with an attack. “There is nothing we want from Pakistan but peace,” Tharoor said, adding that they seem to want Kashmir and they will continue to do so. Tharoor noted that the core issue with Pakistan is not Kashmir but the nature of the Pakistan state. Paraphrasing Voltaire, he said that Pakistan army has a state, not otherwise. “You join the army to run the country,” he added. He went on to say that the military is involved in everything in Pakistan – from petrol pumps, exports, real estate, think tanks and imports to universities- Pakistani army has the highest portion in the country’s GDP in the world. “This is justified by conflicts on borders,” said the Congress MP.